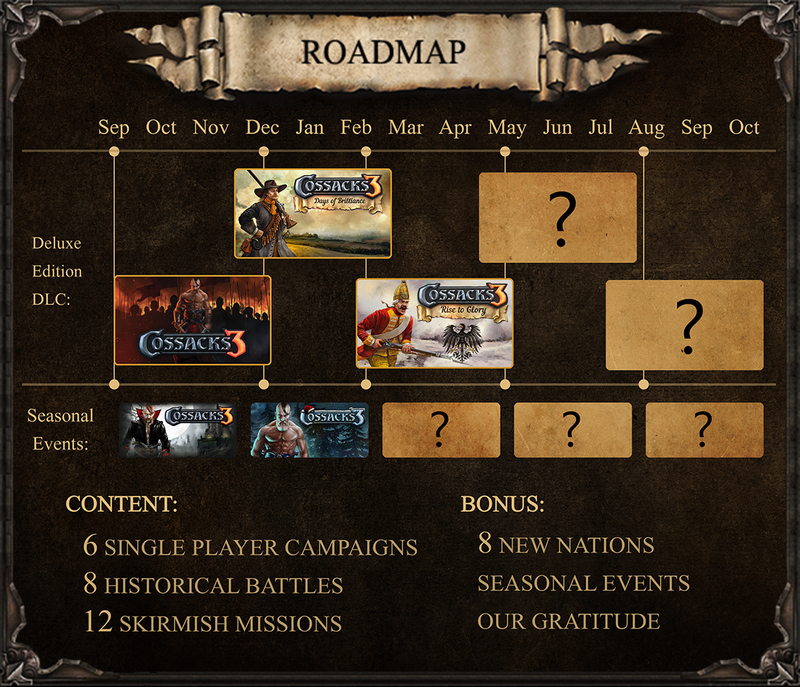 Content Roadmap for Cossacks 3 is here! The New Year has come and as a thank you for your great support, from now on we shall take course on becoming more transparent with you: coherency and honesty to the players are even more important now. Our first step on this path will be to release a detailed roadmap of upcoming content, both for Deluxe edition and Basic edition owners. Note, that it does not take in account upcoming patches and occasional bonuses, which we’ll use to surprise you.